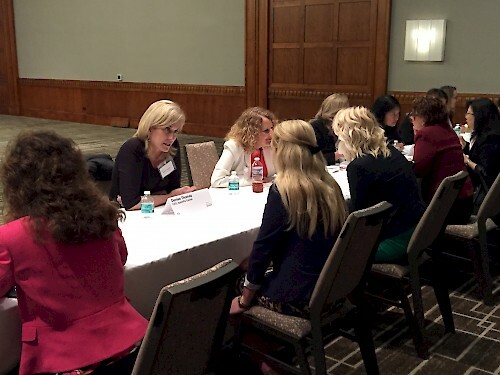 This morning our CEO Denise Thomas was amongst more than 10,000 women gathering across the country in 40 cities to participate in Biz Journal's Mentoring Monday. The annual event is run similar to speed dating sessions and as a mentor, each mentoree sat with Denise for 7 minutes in an open format to ask questions, network and learn about her path to success. Upon wrapping up at the event Denise offered her thoughts, "The Business Journal provides a great way for women to connect and learn from one another. I enjoyed the opportunity to give back and provide guidance to women looking to take the next step in their career." See all the women mentors who joined Denise at this year's San Francisco event.